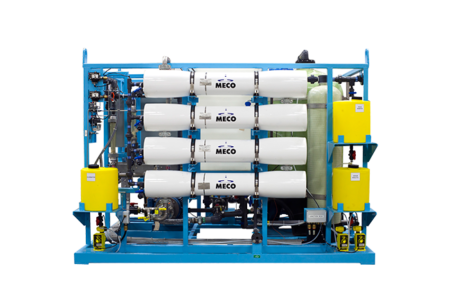 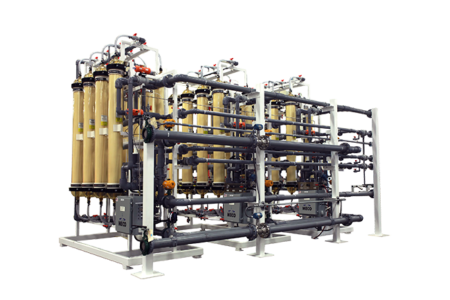 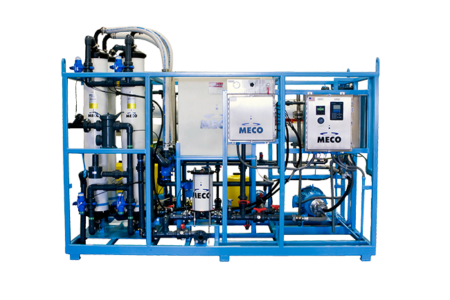 MECO multiple effect distillers are designed to produce Water for Injection (WFI) in accordance with all recognized pharmacopoeia. 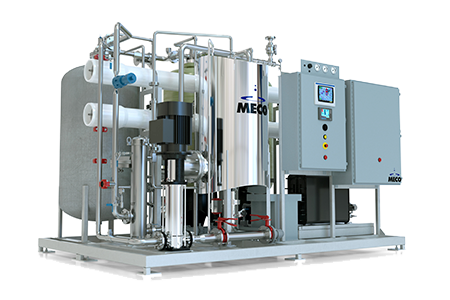 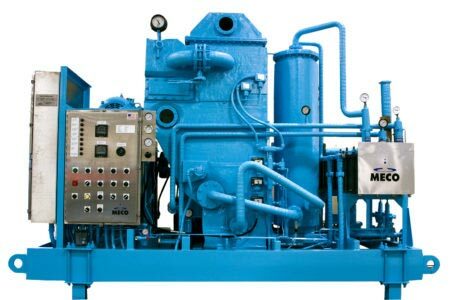 The ME stills are modular in design and include options for simultaneous and exclusive pure steam production. 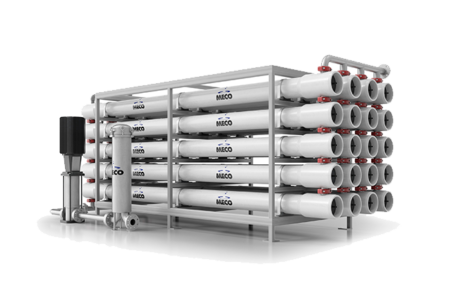 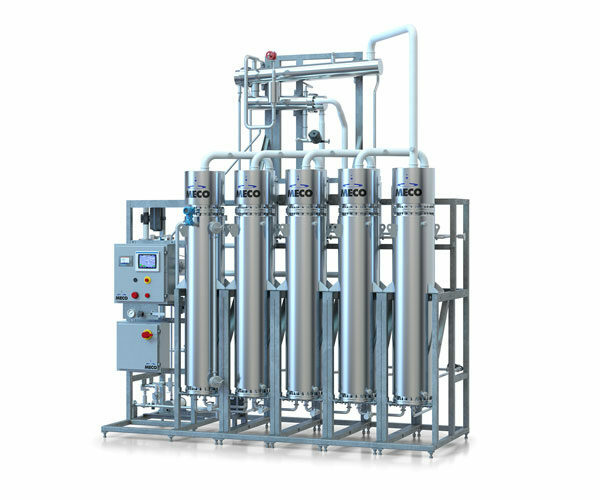 In addition, the MECO multiple effect stills meet or exceed the latest cGMP requirements, including sanitary construction features such as double tubesheets on the first effect, interstage and condenser exchangers, sloped piping and low point drains, minimum deadlegs, and sanitary connections. 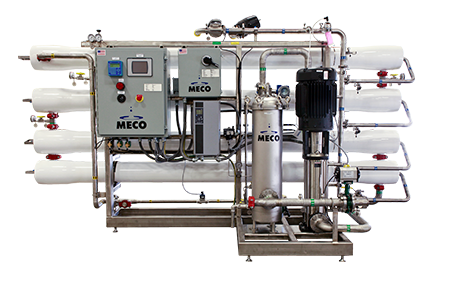 MECO ME stills come equipped with a dual condenser mounted above the unit for gravity flow into the WFI tank. 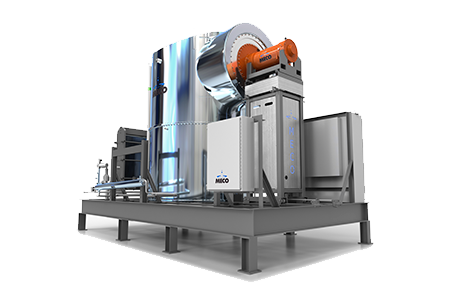 It’s all within our MASTERedge™ package, a system that provides even greater value. 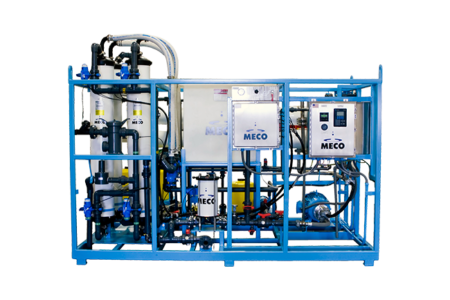 Notes: All distillate capacities are based on plant steam pressures between 110 and 125 PSIG (7.6 and 8.6 BARG). 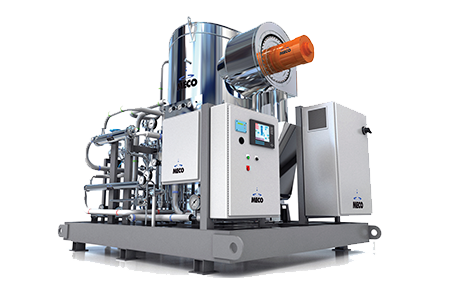 All pure steam capacities are based on the first effect being used exclusively to produce pure steam at 60 PSIG (4.1 BARG).